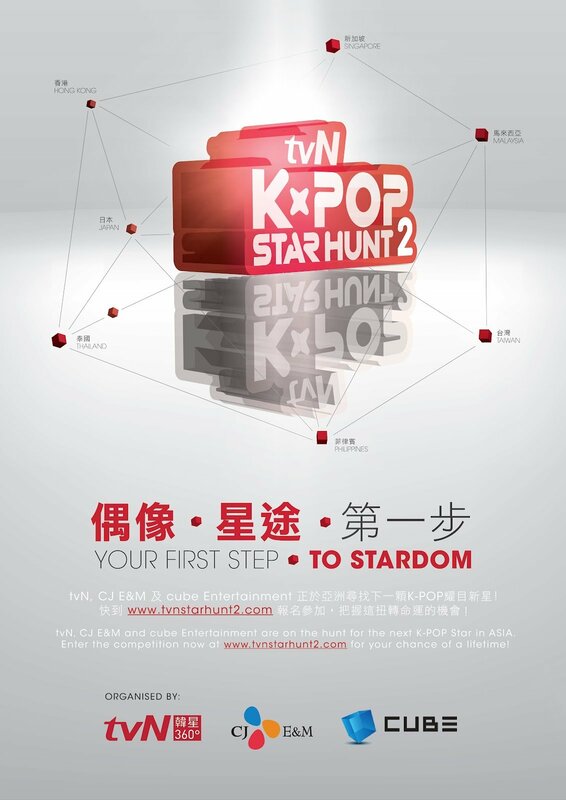 HomeUncategorized[NEWS] Registration Open for tvN K-pop Star Hunt S2 – Your First Step to Stardom! Running for its second season, the highly anticipated tvN K-Pop Star Hunt S2 is back! Organised by tvN, CJ Entertainment & Media (CJ E&M) and CUBE Entertainment, tvN K-pop Star Hunt S2 seeks to discover the next K-Pop superstars to showcase their talents amongst budding performers within Asia. Following the success of the first season whose auditions took place in 2011 across Singapore, Hong Kong, Taiwan, Thailand and Philippines, it has been announced that two additional countries – Malaysia and Japan respectively – will join and compete in the auditions for the second season along with the countries mentioned above. Similar to the first season, representatives from tvN, CJ E&M and CUBE Entertainment will be selecting the most outstanding contestants from each participating country for the preliminary auditions. Contestants who survive the first battle will be flown to Seoul for professional training with CJ E&M and CUBE Entertainment, in preparation for the final show-down in Korea. This year, the ultimate winner of tvN K-pop Star Hunt S2 will receive an intensive professional training for K-Pop Singer by CJ E&M and CUBE Entertainment, along with an album release and even a chance to make a debut stage appearance on 2013 MAMA, the leading international music awards show in Korea. tvN K-Pop Star Hunt S2 is now open for registration at [email protected]! 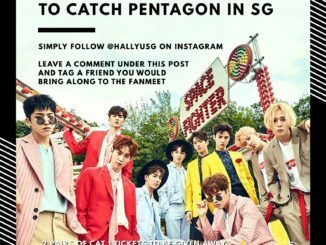 To participate, simply record the best rendition of any K-Pop sing-and-dance song before uploading to the official web site. Registration will close on 26th August 2012, at 23:59:59 hrs. For those who are selected through the registration, the first round of auditions will be on 1st September 2012, with the second round on the following day, 2nd September 2012.
tvN has added a new element to this year’s star search by incorporating a Pre-Audition Roadshow for the Singapore’s leg of the search. This event is especially created to give an additional opportunity for potential participants to join tvN K-Pop Star Hunt Season 2. Potential participants are to bring their performing song in digital form and head down to Plaza Singapura’s main atrium on 28th July, between 12noon to 6pm, where the tvN crew will be onsite to lend a hand with professional-quality audio and video equipment to help budding talents in Singapore record and submit their video on the spot. 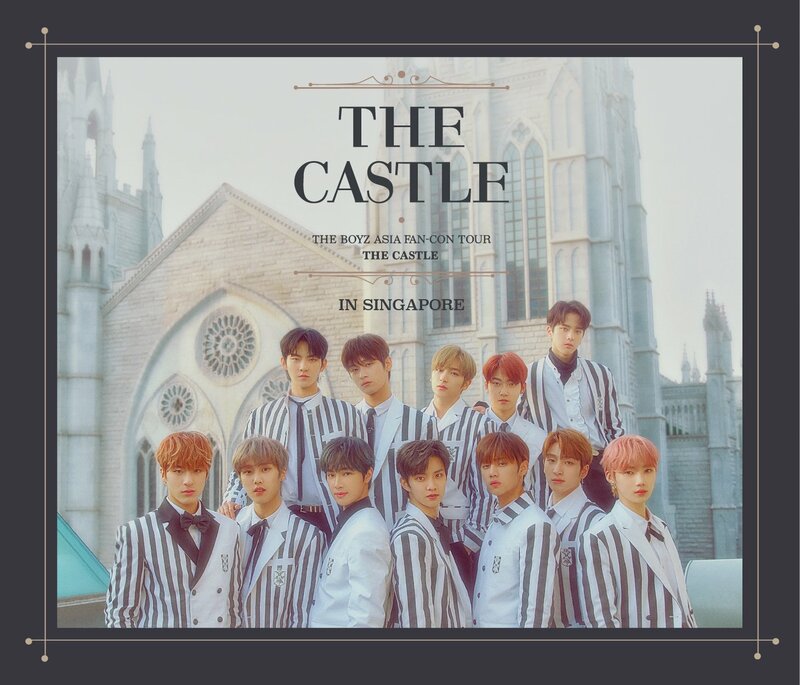 For more updates, news, audition guidelines and rules, check out tvN’s official web site at http://www.tvnstarhunt2.com/, official facebook/twitter, or simply drop an email to [email protected]! To know more about the snippets and some tips on what the judges are looking out for in the contestants, check out our exclusive coverage of tvN K-Pop Star Hunt Season 1 (2011) + interview with the judges & contestants! We’ll be updating on twitter and facebook regularly for news in relation to the auditions, so be sure to follow us to receive the latest updates as well!